With just a little paint, a cup of water, a variety of brushes, and paper, I’ve been letting my inner artist out. 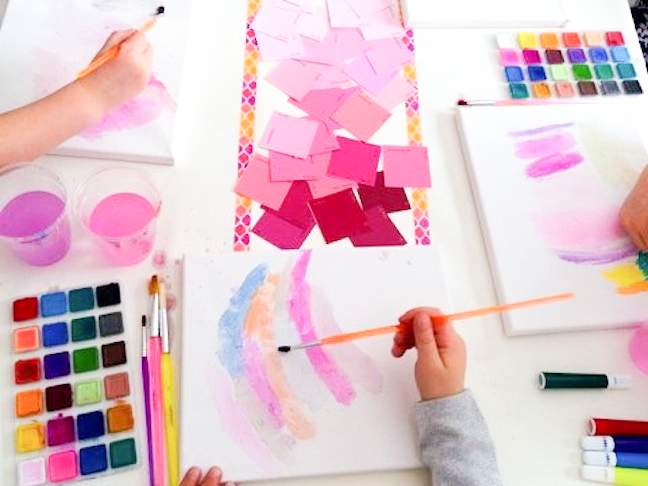 My experience with watercolor has always been a brief one—I’ve dabbled a paintbrush in my four-year-old’s cheap watercolor set that came with her dollar coloring book. But, after a recent gift of a real watercolor set, and extra time inside on a snowy weekend, I’ve come to love it. 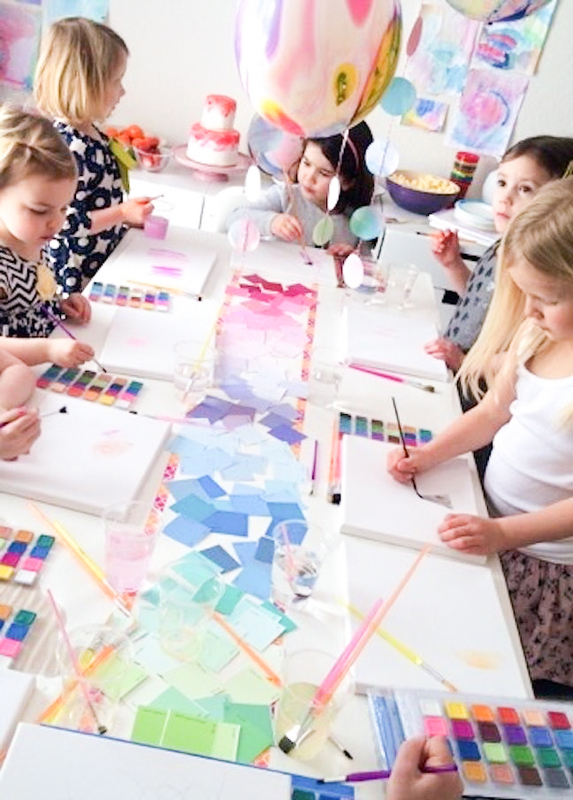 So, the creativity of this colorful watercolor birthday party makes me happy. 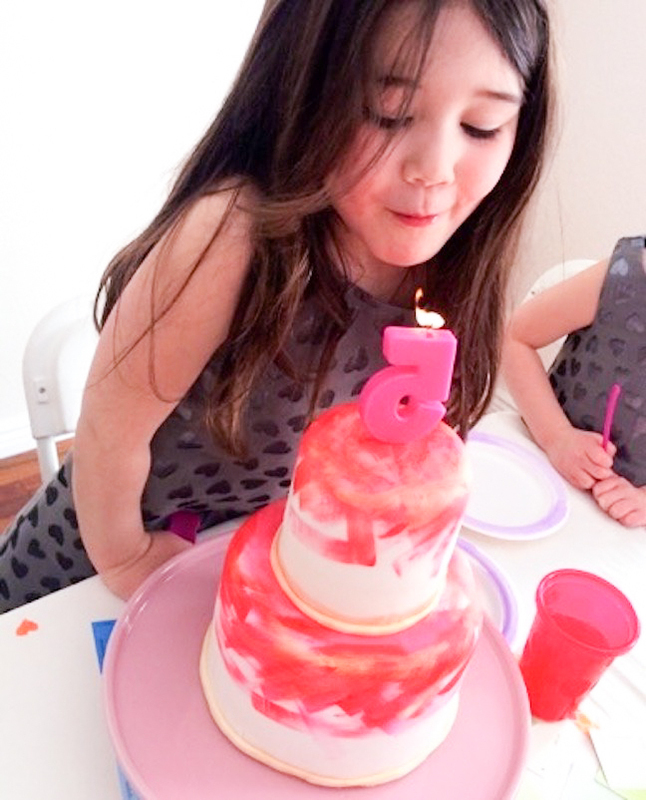 Maggie, an adorable five-year-old birthday girl, also loves watercolor art, and she painted some really good memories with friends at her latest birthday party. 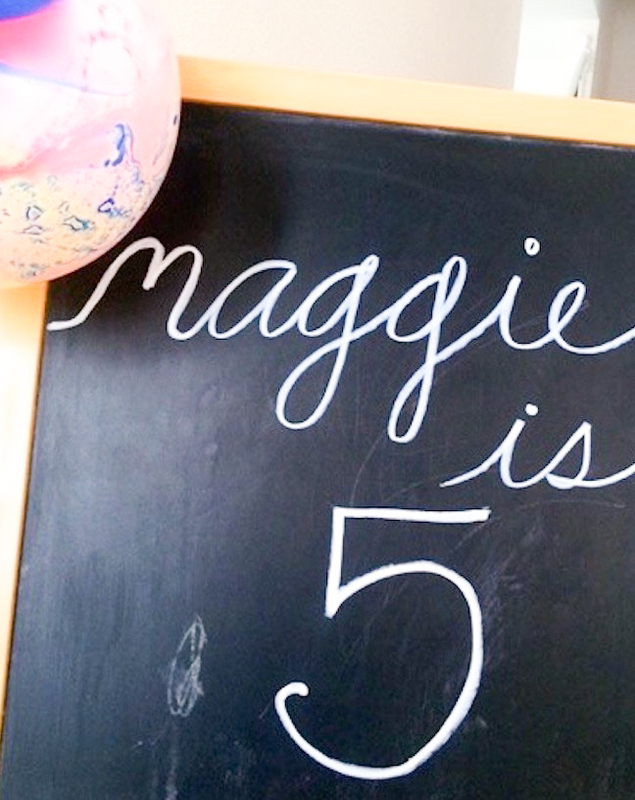 Heather Dwight, mother of the birthday girl and owner of the event planning company that styled the event, Calluna Events, shares a fun tutorial for how to make a DIY paint chip table runner…and all the other pretty details at Maggie’s fifth birthday party. Step 1: Lay down white butcher block paper on the table. 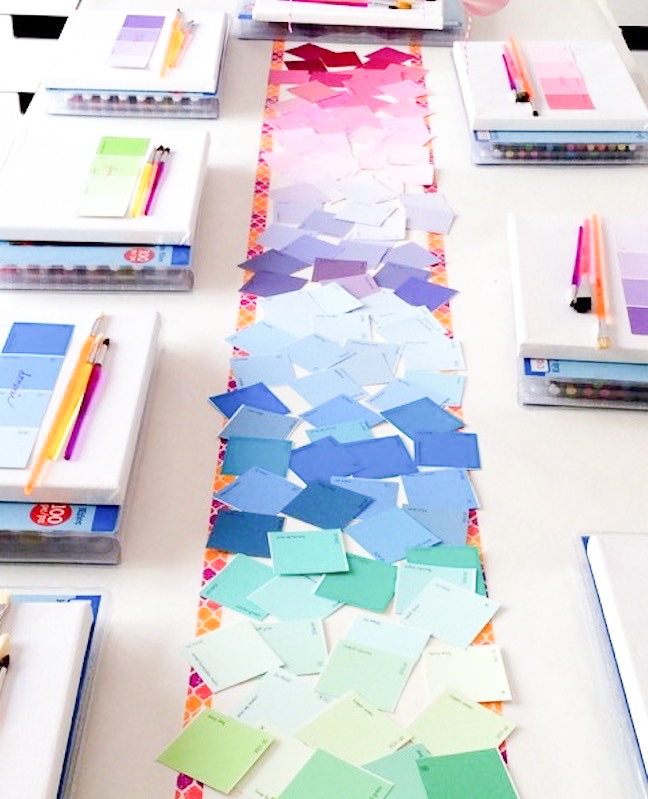 Step 3: Using glue or tape (I just set the swatches in place), place the swatches in an ombre fashion down the length of the table. 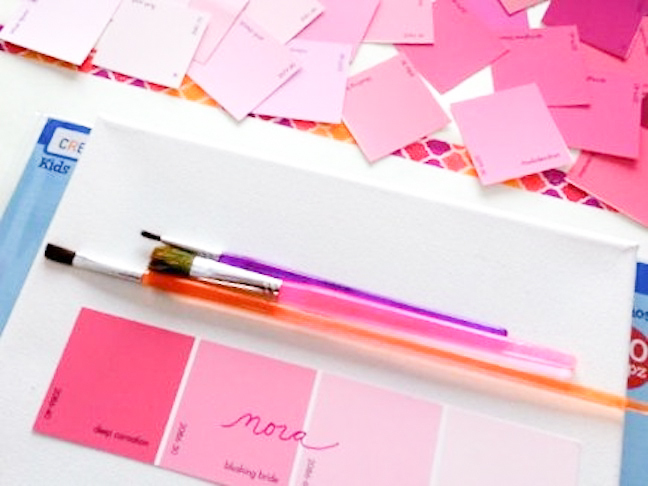 I chose pinks, purples, greens, and blues; however, you could do it with one color or multiple colors, depending on the theme. Invitations: Maggie painted the watercolor invitations for all of her friends. 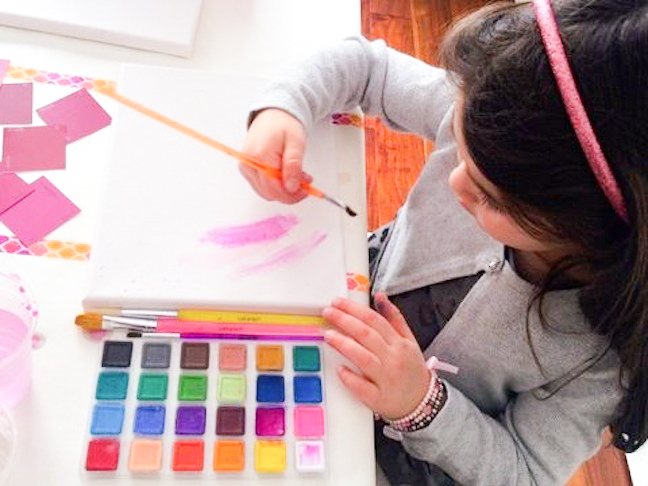 We made a fun day out of it, and she was able to paint a special invite for each friend. 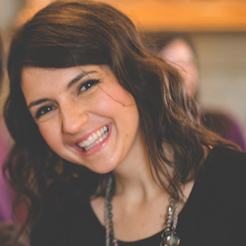 It was a special way to involve her in the process, and it also set the tone for the theme. 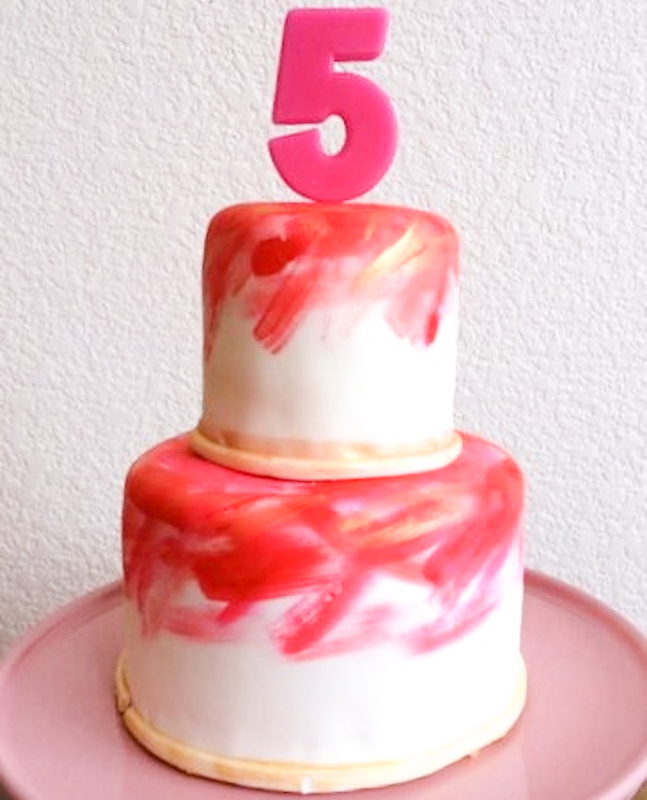 Cake: To go along with the watercolor theme, Jen from Lucky’s Bakehouse, made a stunning watercolor cake. She hand painted the two-layer cake pink, with touches of gold. 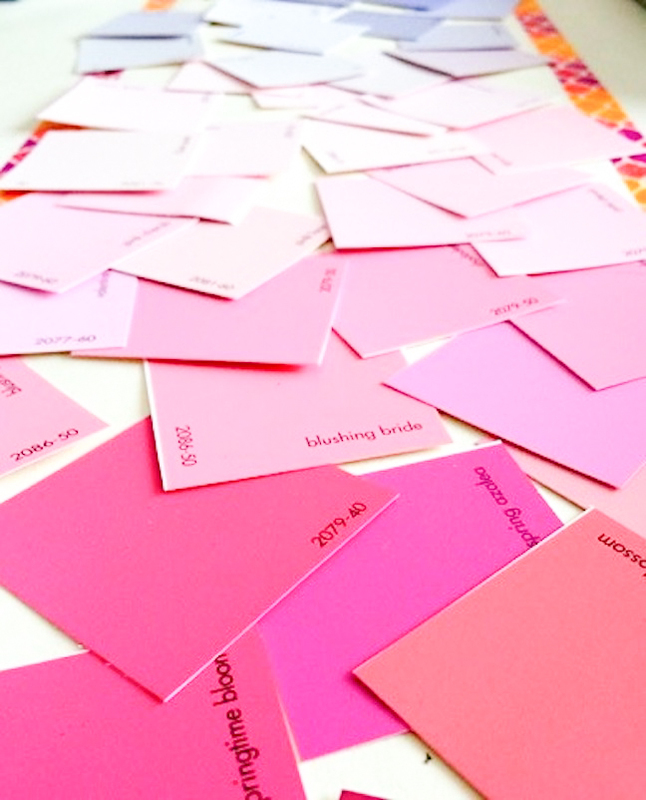 Place cards: I used whole paint swatches to make a place card for each child. 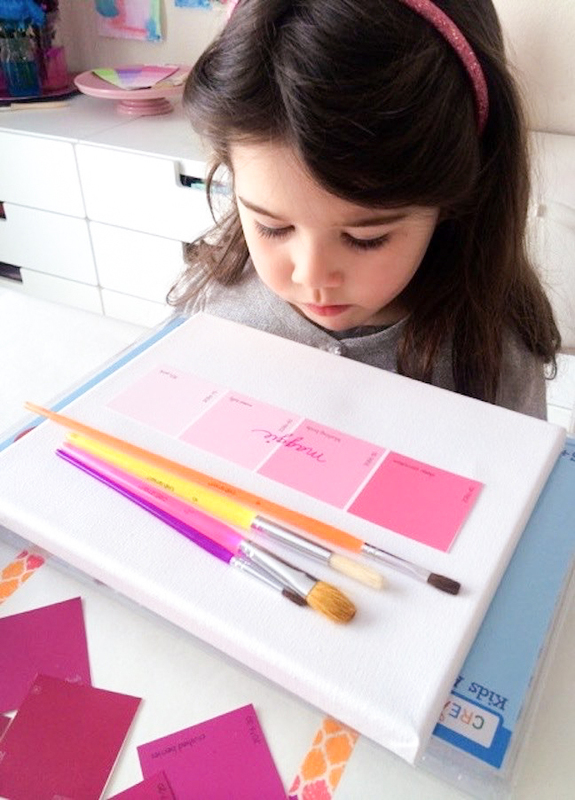 Art supplies: We gave each child his/her own art set and a small canvas at each place setting. The activity at the party was for the children to make their own masterpieces. 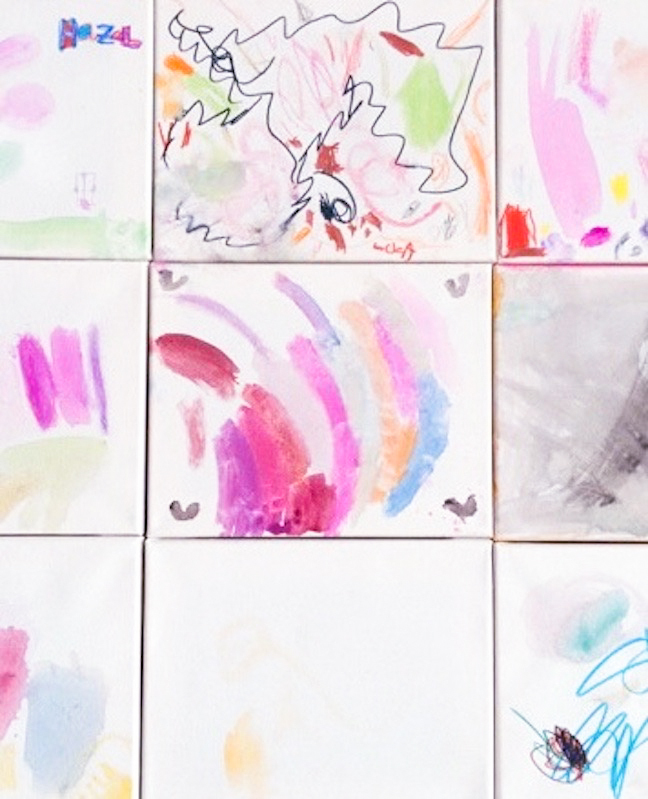 Some children painted, while others used markers and the pastels. It was really fun to see what each child chose to do. 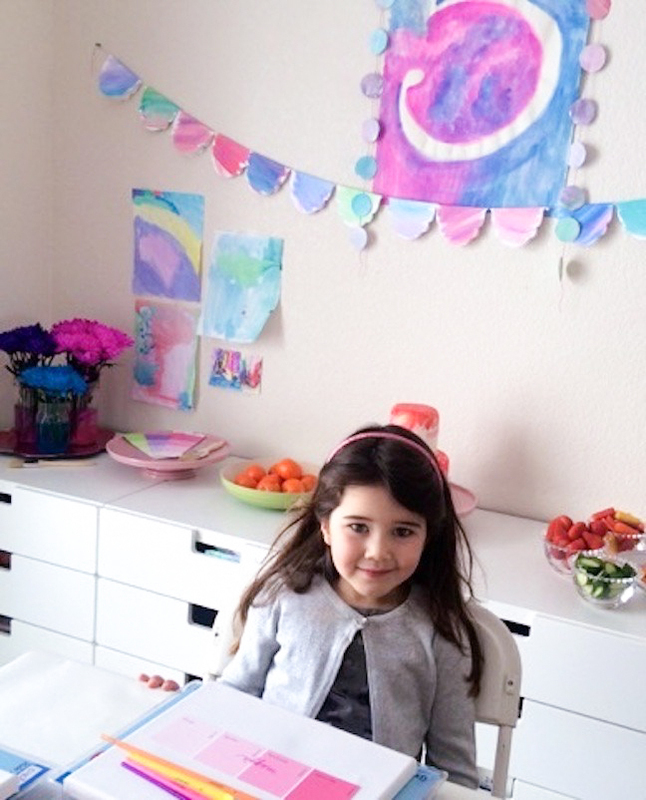 Decorations: I found watercolor painted balloons that I hung above the table. 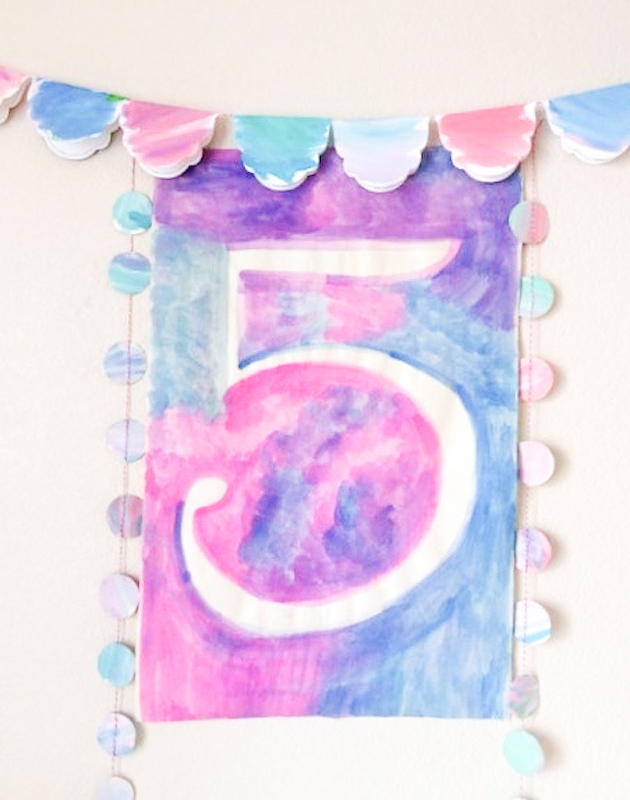 For the main wall, I used white butcher block paper and watercolor paint to hand paint a sign with the number 5. I also handmade the paper garland using scalloped paper and watercolor paint. Some pieces of Maggie’s watercolor art were hung on the wall, too.